As we enter the holiday season, we hope that each of you enjoys the season and celebrates in your own special way. 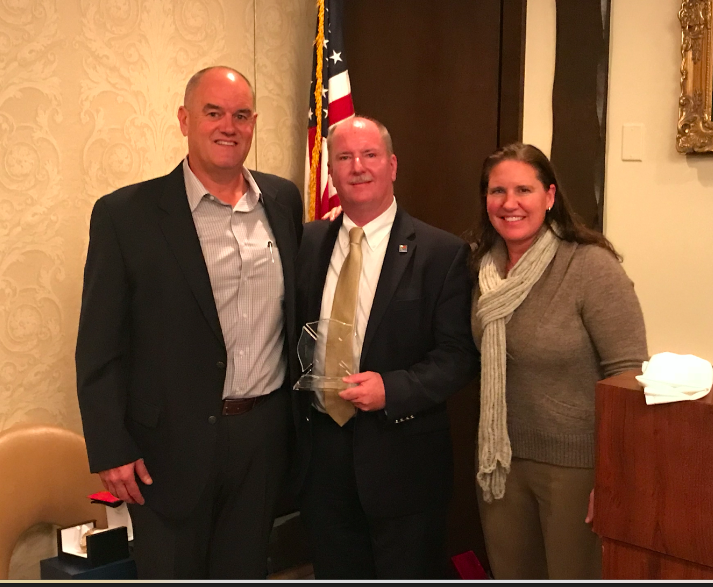 We also want to thank you for your support and commitment to the COA. 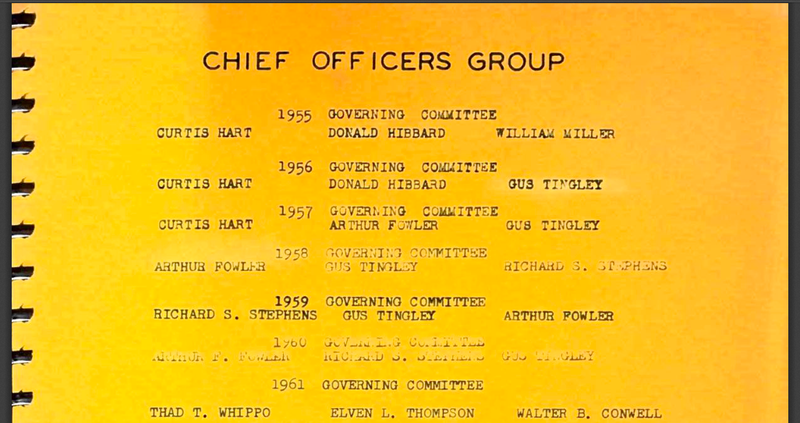 Our association is celebrating its 62nd year, and we owe a debt of gratitude to those who came before us. The department faced several large-scale emergencies this year including one of the largest brush fires in our history. Our Chief Officers and their commands performed in the highest traditions of the LAFD, and made sure that our crews returned home safe. 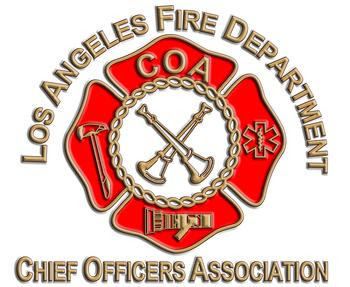 We also want to thank the Fire Chief and his staff for advocating for additional resources and ensuring that the LAFD is well staffed and operationally sound. This year the Department was the recipient of a SAFER Grant, we should see additional resources and Battalion Emergency Incident Technicians return after the first of the year. This could not have been possible without the support of the Mayor, UFLAC Local 112 President Tony Gamboa, COA, and IAFF Vice President Frank Lima. As Chief Officers, we set a positive example within our communities and our commands, and with that distinction, we need to ensure that we celebrate this holiday season responsibly and safely. Please consider your loved ones and your Fire Department family with every decision you make. Also, remember those who have lost loved ones this year and make sure that we reach out to those who may be having an emotionally difficult time during the holidays. Public service is a privilege and responsibility – have a great and fulfilling holiday season – we look forward to a great New Year! Best wishes and have a safe and enjoyable holiday season. A field guide to the 21st century, written by one of its most celebrated observersIn his most ambitious work to date, Thomas L. Friedman shows that we have entered an age of dizzying acceleration – and explains how to live in it. Due to an exponential increase in computing power, climbers atop Mount Everest enjoy excellent cell phone service, and self-driving cars are taking to the roads. A parallel explosion of economic inter-dependency has created new riches as well as spiraling debt burdens. Meanwhile, Mother Nature is also seeing dramatic changes as carbon levels rise and species go extinct, with compounding results. How do these changes interact, and how can we cope with them? 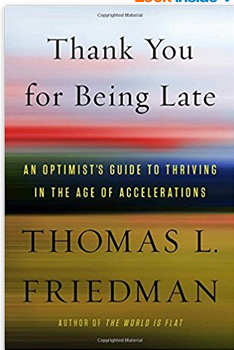 Friedman concludes that nations and individuals must learn to be fast (innovative and quick to adapt), fair (prepared to help the casualties of change), and slow (adept at shutting out the noise and accessing their deepest values). With vision, authority, and wit, Thank You for Being Late establishes a blueprint for how to think about our times. After a unanimous vote, your COA Executive Board filed a class action grievance to ensure the Los Angeles City Controller takes the proper and legal steps before taking any actions on your salary. COA hired an additional attorney to assist with labor-related issues, contracts, and general legal matters. We will update the membership once we receive a response. 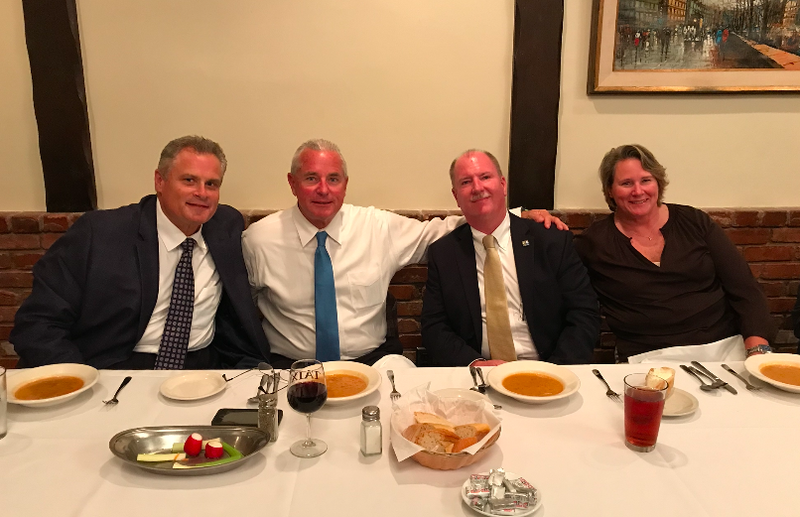 Regarding labor & management relations, COA enjoys a great collaborative relationship with the Fire Chief and meets with him and his staff on a quarterly basis. We are fortunate to work closely with Battalion Chief Orin Saunders who serves as the Employee Relations Officer. Orin is always available and makes sure that issues are quickly addressed and resolved when possible. Many of you who have worked as the ERO understand the demands of that job. UFLAC President Tony Gamboa has offered to sponsor a COA Board Member to attend Peer Support Training. This program is designed on the foundation that a peer with proper training is an effective method to assist other members who are impacted by stress, emotional issues or the cumulative impact that our profession has on mental health. Battalion Chief Kady Kepner is the COA representative and an LAFD Peer Support Member. Your COA Board is planning the next Leadership Symposium for January/February 2018. Thank you for your participation, we received several positive responses and look forward to continuing this series of leadership talks and round-table discussions. 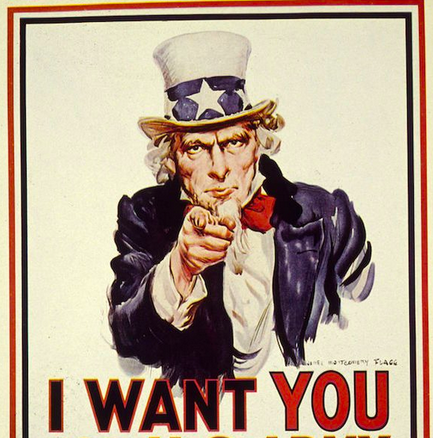 The LAFD Historical Society Wants You! 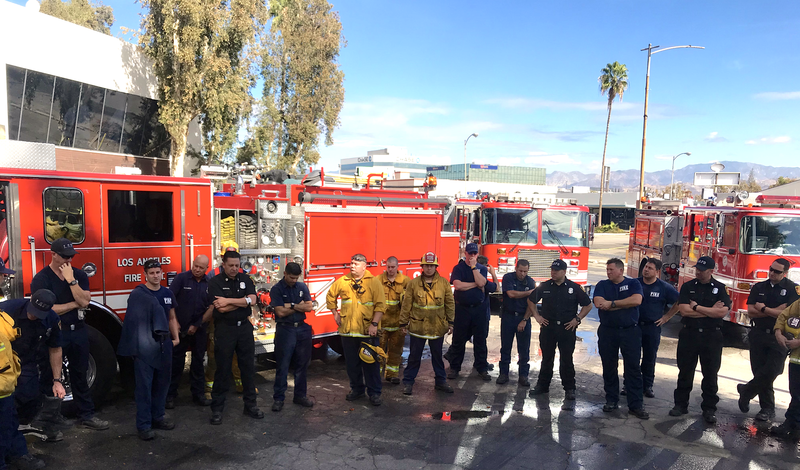 Recently the Department instituted BOA (formerly referred to as Division Evaluation) to ensure that all levels of LAFD field operations are evaluated and assessed. Chief Deputy Alfred Poirier has made “Back to Basics” a continued and important aspect of all Emergency Operations. The initial rollout of BOA started in Operations-Valley Bureau (OVB), and it includes the following evolution; 1) Basic Operations & Ladders 2) Tools & Equipment 3) EMS Skills 4) Engine & Truck Operations 5) Multi-Company Operations 6) Mayday/Firefighter Emergency 7) SCBA & 8) Incident Command. It has been well received and demonstrates why the LAFD continues to be a leader in fire-ground and rescue operations. We want to thank Assistant Chief Andy Fox for taking the lead in the BOA project and working with OVB Chief Trevor Richmond and his staff to implement. Photo of Battalion 17 Companies at BOA – discussing their multi-company ops. 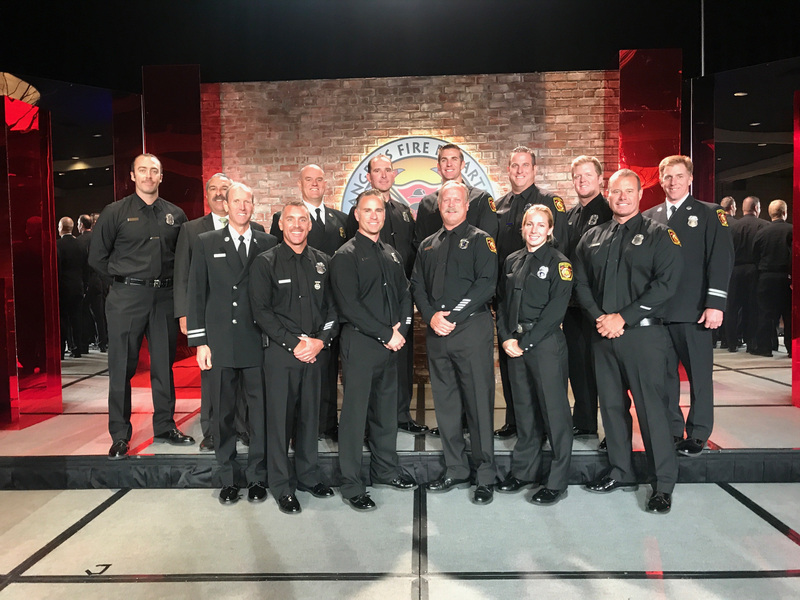 On November 2, 2017, the LAFD honored the 2017 recipients of the Valor Awards. While all the recipients said they were “just doing their job,” their actions are in the highest traditions of the LAFD. The ceremony was attended by well over 300 guests from throughout the public and private sector who were fortunate enough to see these heroes “just doing their job.” Our brave men and women represent the very best of the fire service, and COA was proud to be a sponsor. Executive Development Fund – The 2016-2019 MOU 22 provides Chief Officers with paid tuition, travel, and lodging for executive education opportunities. To date, we have funded over $60,000 in executive development funds to our members. Please take advantage of this fantastic benefit that your COA Board has negotiated on your behalf. Please note that future executive exams will require formal education as a condition for exam eligibility. Login to the COA Website for more details. COA Elections – Due to the current election cycle of board members – there are no seats up for re-elections in 2017. Therefore we will not have COA elections this year. Next nominations and elections will be October/November 2018. 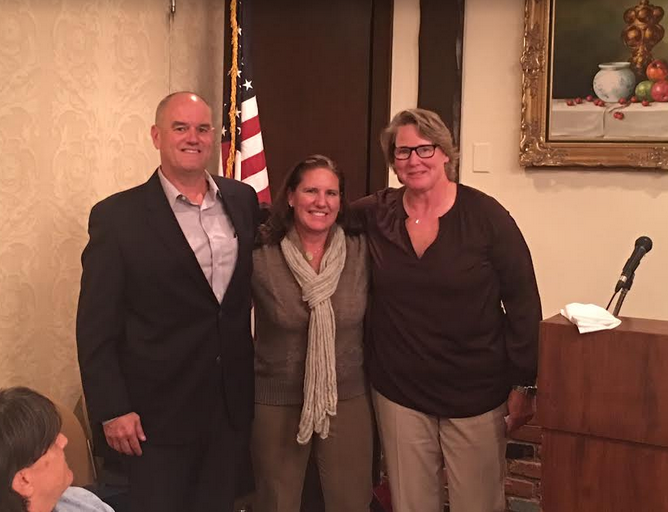 Retirement Dinners – On November 8, 2017, we celebrated the retirements of Deputy Chief & Fire Marshal John Vidovich – Assistant Chief Gregory Reynar – Battalion Chief Kevin Nida & Battalion Chief Alicia Welch at Taix’s Restaurant. It was a great event, and we had many active and retirees in attendance. 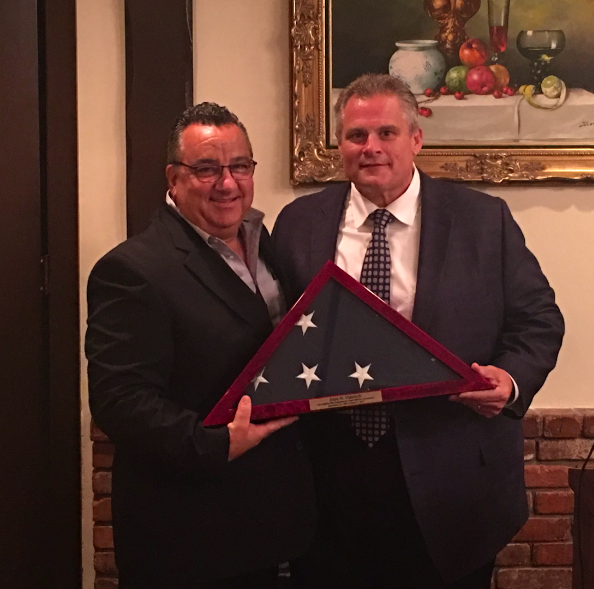 Deputy Chief Daren Palacios present Deputy Chief & Fire Marshal John Vidovich with the U.S Flag. 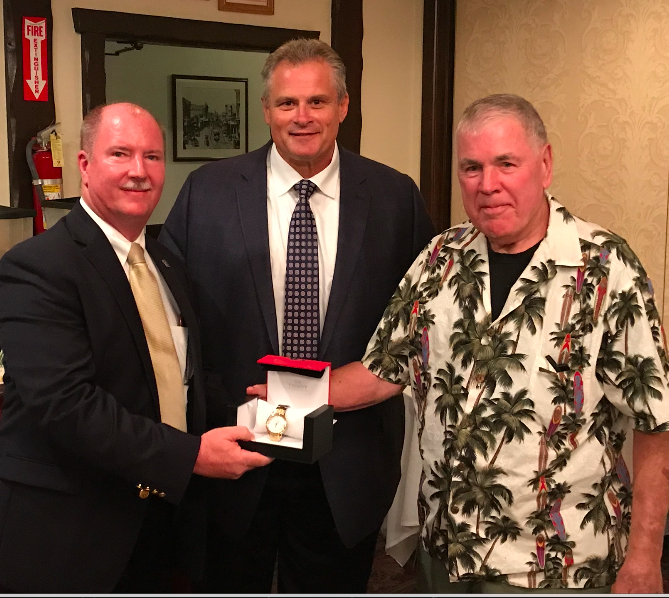 Retired – Battalion Chief Roger Gillis & Assistant Chief Bob Defeo present Assistant Chief Greg Reynar with his retirement badge. 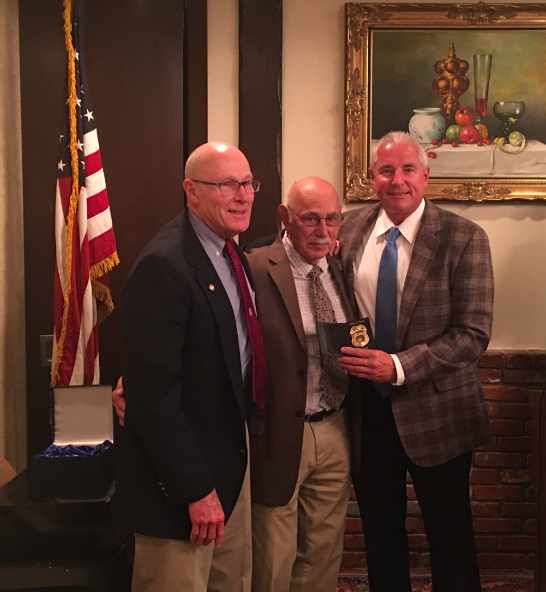 Retired Battalion Chief Nida, Deputy Chief Vidovich and a warm welcome back to Assistant Chief Bill Bisson. COA Website– Please visit the COA website for news and up to date information. Many of the information or answers to your questions can be found on our site. We also look to improve it every day – so please send us your feedback and recommendations. We often receive requests from retirees that would like to stay up to date with recent promotions. As we come to the close of 2017, COA would like to once again congratulate the entire list of Chief Officers that have been promoted in the last few years. 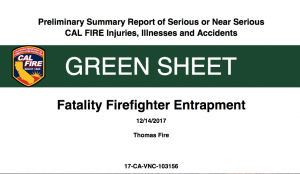 CAL FIRE has released a “Green Sheet” preliminary report for the line of duty death of CAL FIRE Fire Apparatus Engineer Cory Iverson of the CAL FIRE San Diego/San Diego County Fire Authority. Engineer Iverson was overrun by fire and killed December 14, 2017 while battling the Thomas Fire in Ventura County north of Fillmore, California. While working with a hose lay along a dozer line he was attempting to suppress a spot fire across the fireline. As one spot fire became multiple spot fires he attempted to escape but was not successful. The entire 2.6MB report is here.The portion of the document that describes the entrapment is below. Fire Apparatus Engineer Iverson is “FAE1” in the report.